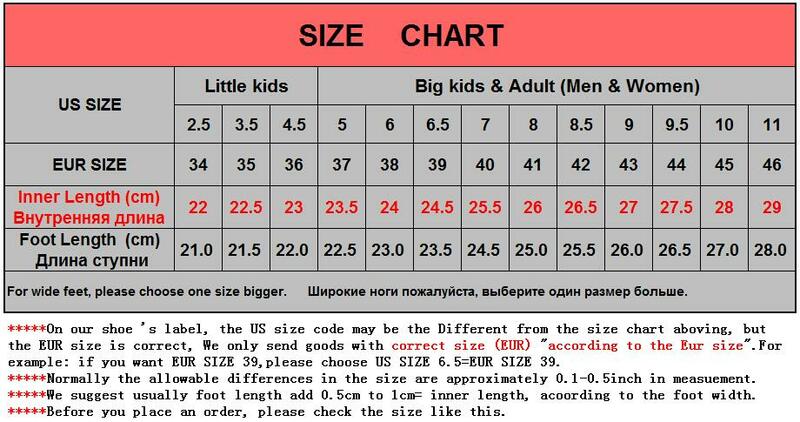 3) On our shoe ‘s label, the US code may be the company from the size chart following, but the EUR size is correct, We only send goods with correct size (EUR) “according to the Europe shoe size. There is a switch, USB Charger. when push switch,then transform one color. total has 7 colors, 11 models.